Ferrari factory original 1988 "The Production" Brochure. 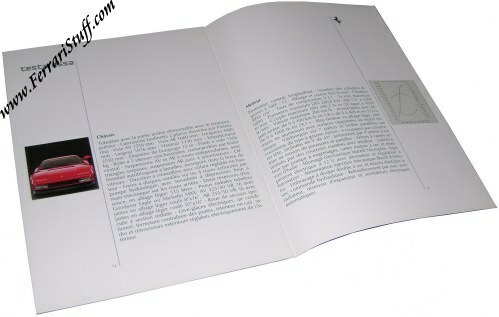 The traditional, yearly, overview brochure of the Ferrari models in then-current production. 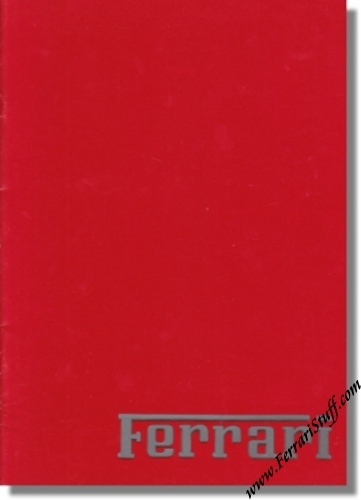 Elaborates in great detail on the Ferrari production range of 1988. This Ferrari brochure contains 15 pages. Measures some 9 x 12 inches. Ferrari Print Number 505/88 5M/12/88, issued in 1988, printed in December 1988 by Puntografica, Italy.